Letha Shull, age 16, showing a bit of the grit that would power her genealogy research decades later! My Mom got into genealogy by accident, really. As part of the Bicentennial celebration, our home town was publishing a history of the community. “On the Banks of the Elk Horn” was to include the history of the town and the families that had lived there. Mom was tasked by the committee with writing the history of the Mowry family, so Mom dutifully talked to the older generation and wrote our history in 1972. Multiple members of my family had copies of these pictures of my Great Great Grandparents, but not all of them were labeled so we knew who they were! A year later, she was convinced, much of what she had written was wrong. The oral history she relied on was proven inaccurate when confronted with basic research into county records that were easily available. 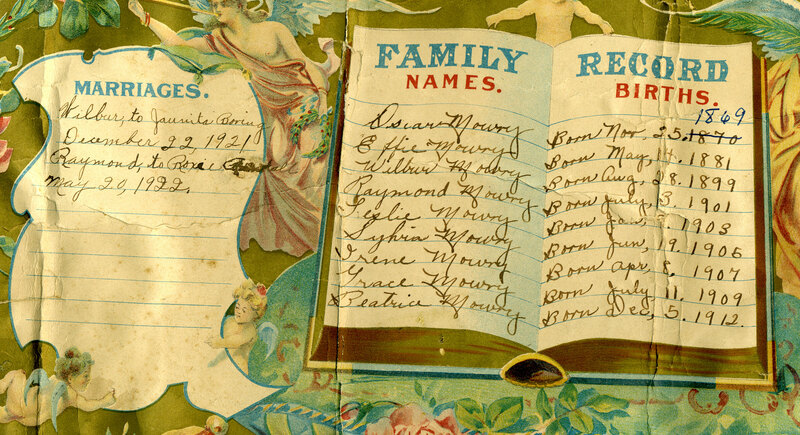 And Mom’s love of genealogy was born. She began buying 3×5 cards by the case, and typing individual records of life events on each card (so, one for a birth, one for a marriage, etc). 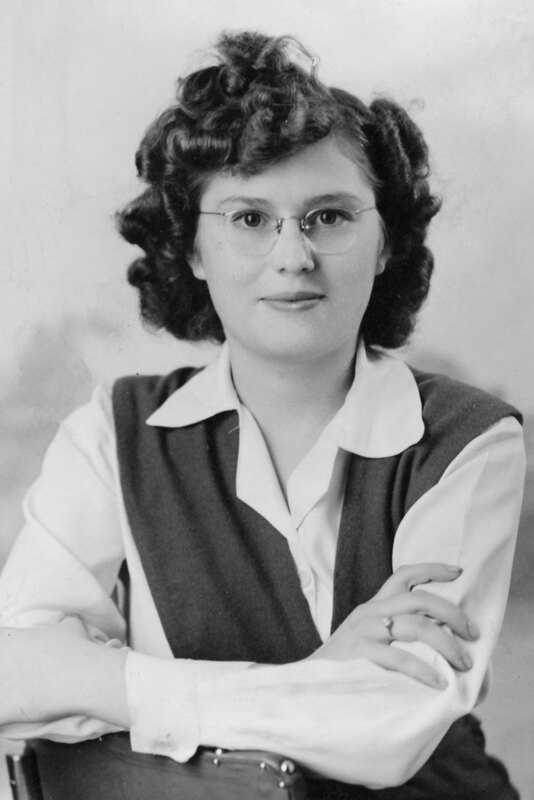 She typed cards for every announcement in the local newspaper, and then began adding other published records. Eventually, she typed thousands of cards for everything in the four counties in northwest Missouri, and then started adding more esoteric records, such as funeral home and cemetery records. A database was created, and then re-written. And she’s now begun entering all of those old index cards into the database. She’s a few thousand cards in, and she’s still only in the B’s. And this is still what she does for fun! 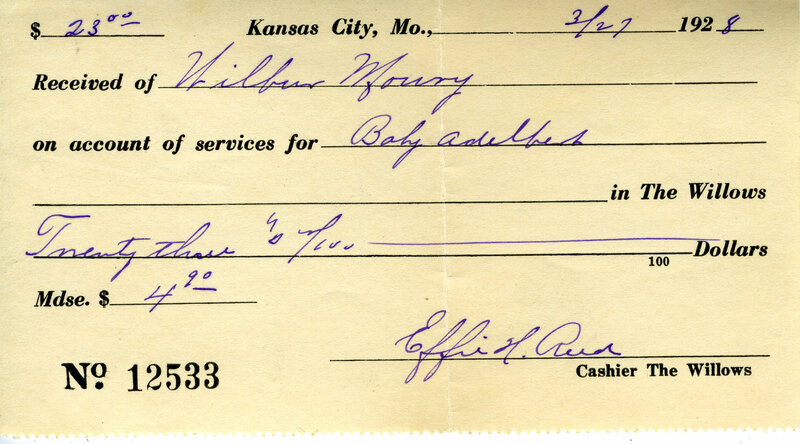 I knew my father was adopted, but I didn’t know he cost $23 until Mom showed me this receipt! Mom has infected me with her passion, of course, and I’ve tried to help her around the edges since the ’80s. I had access to unique resources in LA back before everything was online. Today, her decades of knowledge still far outweighs my access to the LDS library in Santa Monica! She’s already done a huge, huge amount of work, taking our family back multiple generations (and proving multiple connections to the Revolutionary War soldiers which will eventually be used for my Granddaughter’s DAR membership, for example). 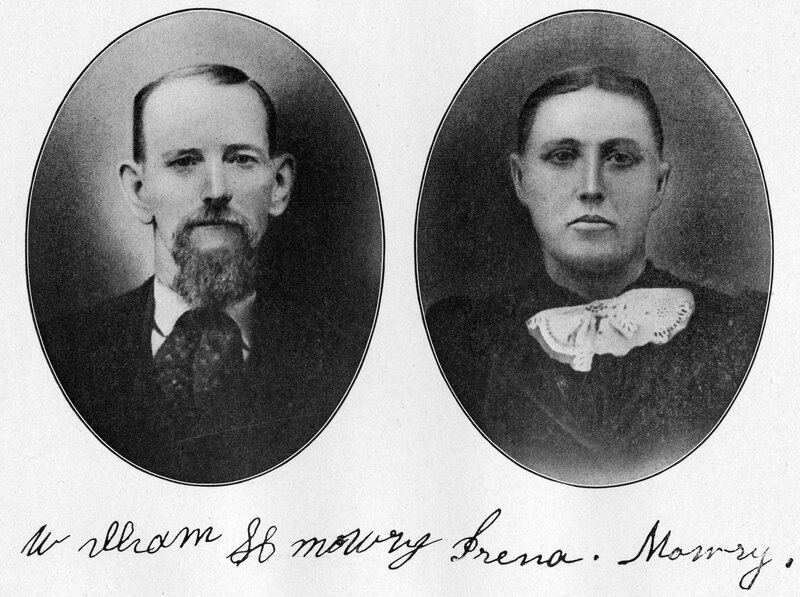 Mom’s work has taken the Mowry line now back 7 generations to John “Maurer” Mowry, born in 1725. The Morgan and MacDonald family lines are also back into the 1700s. Not all records are in the family bibles! These birth and marriage dates were recorded by my Great Grandmother on to a wall hanging that included photos of her 7 kids. Remember, though, where her journey began: bad information from relatives that she had to record and then disprove on her way to a more complete understanding of our family tree. Write down what you know … for some people that’s their personal information only. Some people are lucky enough to know their grandparents and even great-grandparents — and their birth dates. It’s a very rare person, though, that actually knows birth, marriage and death dates back 3 generations. Write down what you THINK you know … here are some forms you can download and use to get started, here or here. Write down what you don’t know … this could very well be a larger list. Sometimes you discover things you don’t know along the way … like a new step grandmother that your grandfather never mentioned. Talk to your immediate family for information, direction & more. You’ll probably know what you can talk about with your immediate family … and what subjects you best avoid. It’s great to know “everything” … but do you really NEED to know every divorce date? Avoid those topics that will incite relatives, and lead to them disengaging from your project. Get pictures! If you have been following my blog, you know that I love family pictures. You will be very surprised at the pictures that various members of your family have that you’ve never seen. Even your immediate family will likely have pictures that you’ve never seen before. Talk to your extended family. Some cousins may not be happy with prying questions about marriage dates, birth dates … not everyone will want to share private information! Ask questions, be happy with the answers … and then you can check them for accuracy on your own time! Get pictures! When you look at pictures from your extended family, you’ll be amazed what you will find. Cousins will have new pictures, identifications on pictures that may be unlabeled in your collection, or simply better prints that are in better condition that the pictures in your immediate family’s collection. Begin your research. I’ll leave research tips to the myriad of published and online resources that you have to call upon. My go to is Ancestry.com; it’ll help you in many ways — but be careful. Just because something is online doesn’t mean it is true! This picture is from a tin type, and is probably the oldest in our family’s collection. 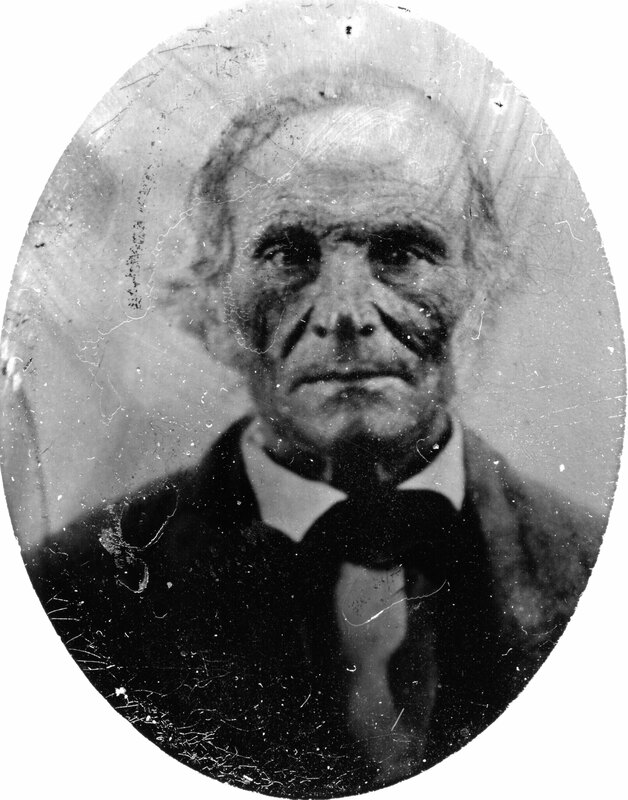 John Blair Morgan died in 1865, age 73. « Are Lines Always This Blurry?